What’s the secret to a great company culture? Happy employees. And happy employees can lead to higher retention rates and greater productivity. According to a study from Britains’s iOpener Institute, happy employees stay twice as long in their jobs as their least happy colleagues and believe they are achieving their potential at double the rate. A key component of employee happiness is that people find meaning in their work — that they understand how their efforts contribute to something greater than themselves. A study by researchers at the University of Alberta concluded that people who focused on the meaning and purpose in their work had a 60% decline in absenteeism and a 75% reduction in turnover. Another key factor is that employees get praise and acknowledgment on a regular basis for a job well done. Focusing on employee well-being and haelth demonstrates than an employer cares about its workers. And that’s where Berkshire Natural comes in. 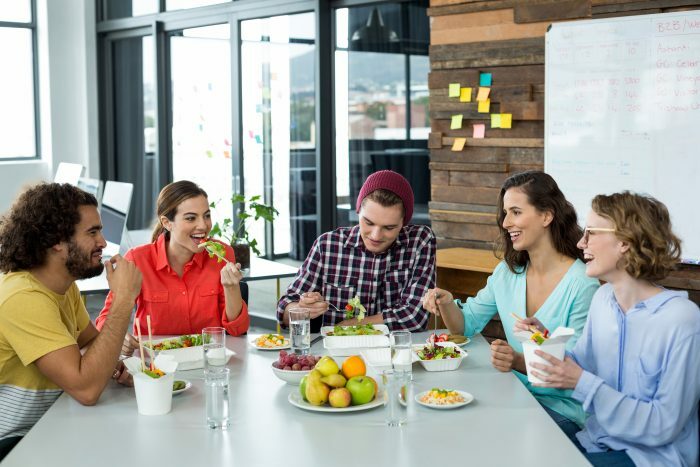 What better way to show employees that their health matters than by providing a delicious, curated assortment of healthy snacks and fresh fruit? We offer healthy snack and fruit delivery to companies in the Greater Boston area, and we do all the work…from selecting products to stocking company kitchens. Contact us to learn more.